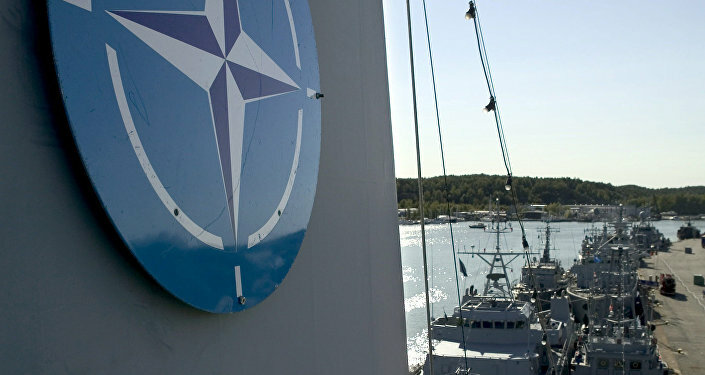 Finland's Defense Committee Chairman Ilkka Kanerva said that the current Finish defense strategy did not not suggest the possibility of joining NATO. TBILISI (Sputnik) — Finland may consider joining NATO when the need to defend its national security arises, however, the current Finish defense strategy does not include any timetable or procedures for joining the Alliance, Finland's Defense Committee Chairman Ilkka Kanerva told Sputnik on Sunday. "I am the man who was formulating the text of government's foreign and security policy program and, of course, we have a very clear commitment of the government to continue our partnership with NATO and in case it would be necessary for Finland in the name of its own security, we may to consider a membership as a possibility," Kanerva, who is also the President of the Organization for Security and Co-operation in Europe Parliamentary Assembly (OSCE PA), said on the sidelines of ongoing OSCE PA meeting in Tbilisi, Georgia. Kanerva noted that the current Finish defense strategy did not not suggest the possibility of joining NATO. "No timetable or procedures of that sort are included in our strategy at the moment but it is our option," the official added. "The security environment in Europe is not too solid. We need to make our own preparations for defending our own territory, our own integrity, our own independence in every way. Our own national defense system must be secured in various ways and that is why it is important for us to look at what is going on at the Baltic Sea area and recognize that increased military activities is very clear signals that tension has increased in the Baltic Sea," Kanerva said on the sidelines of ongoing OSCE PA meeting in Tbilisi, Georgia. When asked about the nature of the increased military activities in the region, Kanerva pointed on the Russian increased presence as well as the NATO's increased number of troops in the area. "Being a military non-aligned countries, Finland and Sweden don't have any specific international umbrellas, we don't have the article 5 [NATO collective defense] protection and that is why we have to be very active now," he concluded.